Building a Team to Get the Job Done looks at twenty-two principles for building a team to fulfil a desired outcome. Tom Phillips writes: "Teamwork - working together toward the fulfillment of a desired outcome without the loss of one's individuality - has been a major factor in my growth since adolescence. My family, my Boy Scout Troop, various sports teams on which I played, the ROTC drill team - all these helped to lay a foundation for a lifetime of involvement in teamwork." "Teams usually develop in response to a desire to accomplish a task and the realization that it requires more than one person." Tom Phillips notes twenty-two (22) team building principles. 1. A team must have a gifted and committed leader. Leaders are those men and women who serve the vision. To accomplish the vision, they serve their team. 2. A team must bring together a holy band of men and women whose hearts God has touched. "Because a ministry team needs people through whom the Holy Spirit can easily flow, it is vital that each person work diligently to maintain his personal walk with Christ through Bible study, Scripture memory, prayer and service to others." 3. A team is a group of people who are united under the Lordship of Jesus Christ. "These people who recognize that 'kurios' is not an employer but our owner." 4. A team has a focus that is so easily discernible that the devil, who is the author of confusion, can never interrupt the direction of ministry. Ministry teams are engaged in spiritual warfare and must recognize the schemes of their adversary the devil. To be successful, every ministry team must focus on Jesus Christ. 5. Gifted people on the team are chosen to get specific jobs done. The placement of each team member is vital to the success of the team. 6. A team needs people who have Nike hearts. Most successful teams simply do the job. This does not mean they don't do their homework and get the facts that they need to complete the task. "Teams that function best are those that devise strategic plans, and quickly turn them into tactical plans they implement. A plan not implemented is of limited, if any, value." 7. A gifted team strategically trains its people, but most of the time, these capable and godly people are trained on the job. It is better to develop your team members from within your own congregation. As Phillips stated, "It is more importantly to have someone who is already frequently witnessing as a lifestyle than to have a person who has a degree in evangelism but no enthusiasm for it. Academic and practical training can come later." "Ability is less important than availability, but ideally both qualities are in place." 8. Great teams use participative management. Phillip writes: "This is a relatively recent term. Yet it is the way we have seen God work most dramatically in teams. Authority still exists, and everyone recognizes it. Participative management is synergism at its best. The people involved realize that it is not a pure democracy." 9. Service is more important than position. Our model for service is Jesus Christ Himself, who it the greatest servant-leader of all. 10. Team members must show respect for the leader and for other team members. 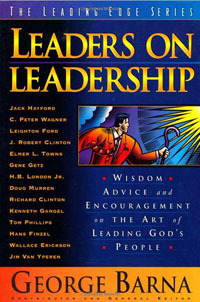 Phillips writes: "A great team is usually an organization made up of as many (or more) followers as there are leaders. Within an excellent team are also several people who are capable of stepping into the slot of the leader if unfortunate circumstances remove him. Each person must have complete loyalty to the leader. In this way, the harmony in the team is consistent regardless of the challenges or sacrifices." 11. A team is only as strong as it is disciplined. Phillips states: "An effective ministry team exhibits discipline on three planes: spiritual, physical and mental. Discipline also operates on two organizational levels: personal and corporate." 12. Effective teams realize that failure may be a step toward success. Great teams do not view failures as terminal outcomes, nor as paralyzing defeat, but as part of God's refining process. 13. Teams must achieve a significant comfort level within the familial organization scheme. When it comes to handling change and addressing opportunities, family units with a level of comfort and intimacy is better positioned to move forward in these areas. An effective team is well organized and well informed. 15. Great teams respond to change by remaining flexible. A team must never be so locked into a plan that it cannot be flexible to the realities of the situation - and those realities change. 16. Team leaders delegate; they do not abdicate. Phillips notes: "Allow your team to grow. Give team members tasks that are within their giftings and abilities, but beyond their previous experience. Stretch them, but be available to assist. Encourage, exhort, challenge or correct as needed. 17. Attitude matters. Great teams exhibit sincerity, transparency and vulnerability. Maintaining and modeling these qualities is difficult for leaders so leaders need colleagues who love them enough to offer constructive challenge or correction. 18. Within familial organizations, there is recourse. Effective teams nurture access to all people in the team regardless of the levels of responsibility held by each member. However, this access is a privilege and must be used wisely. It is vital for a team to be focused in direction and this involves unity. A house divided against itself cannot stand. 20. Each person within the team is a coach and/or player/coach for those around and below. The leader of a team may fall, die or be removed at any time. Therefore, each person in the team must be developing as a leader. It's not to say that all will be the primary leader. However, personal growth is constant and all members should be involved in the growing process. 21. Non-participatory team members could and should be removed. Of course, this should be done in a loving way. 22. Stay focused on the goal; accept nothing less. As the old saying goes: The main thing it to keep the main thing the main thing. To read this article by the original author, click on the following link Building a Team to Get the Job Done.